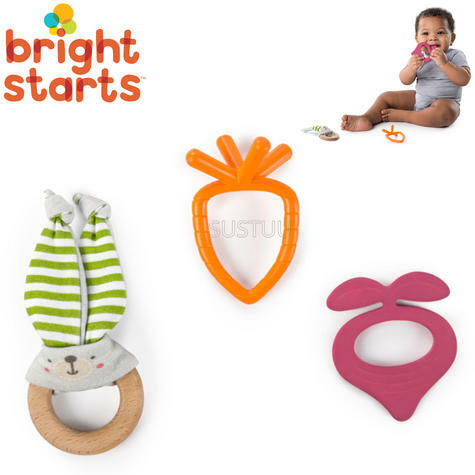 The Bunny Bites Teething Set™ from the Simply Bright Starts™ collection are adorable, natural solutions to sore gums. The variety of textures massage tender gums. 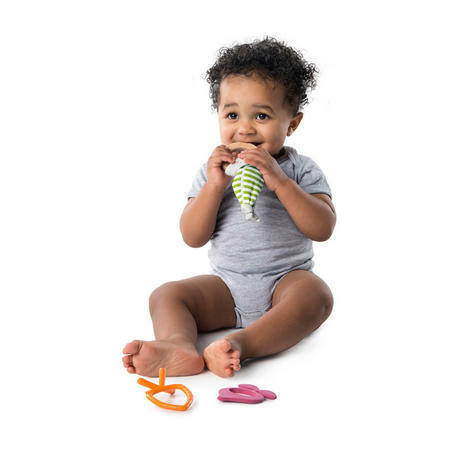 The assortment includes a natural rubber radish-shaped teether, bunny wooden toy ring, and soft food grade silicone carrot teether. The adorable sensory teethers are specially designed by Bright Starts™ for the multiple stages of teething. The radish is perfect for soothing the front and middle gums, while the carrot is designed to reach the back gums. 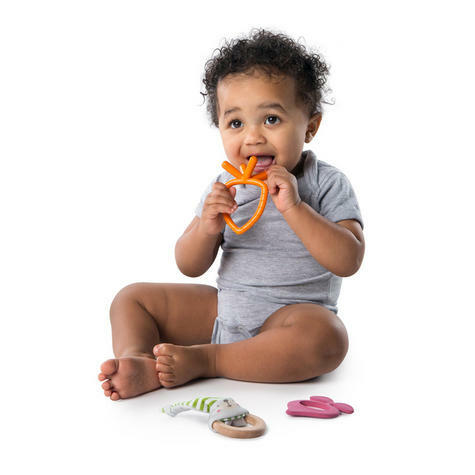 These sensory teethers are designed with safe materials, and non-splintering wood that is easy to grasp. Designed with health and safety in mind, all 3 teethers are BPA-free. Recommended for ages 3 months and up.